Interior of spacious Jacuzzi suite. 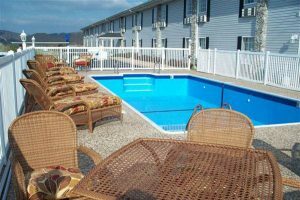 All American Inn and Suites is a cozy 81 room property offering a variety of rooms and configurations to accommodate almost every lodging need. The majority of its clean spacious rooms are Double Queen and King, but it also offers Jacuzzi and family suites along with a number of connecting rooms. This provides AAI with the flexibility to meet the lodging needs of the individual traveler as well as families, and groups. Singh points out that while all the rooms at AAI are spacious, the Family Suites are ideal for the families on vacation because they have two rooms that can be closed off from each other. Each room includes a full complement of amenities. Among others, these include coffee maker with complimentary coffee and tea, desk with ergonomic chair, hair dryer, free Wi-Fi-Internet, microwave, refrigerator, and 32” LCD HD television with cable and local channels, iron, ironing board, and more. AAI is open year-round and is smoke and pet free with interior corridors and access to all rooms. It has an outdoor pool, elevator, Wi-Fi access in all common areas, free level parking, a laundry that is free to guests, as well as 24-hour coffee in the lobby, and offers in-house ticketing at the front desk, to Branson shows and attractions, providing the ultimate in convenience and ensuring their guests the best available seats to the shows they want to see. Singh said that one of the features their guests like is the Inn’s location. It’s centrally located to all the fun and excitement that Branson offers, but is away from the noise and bustle, providing an opportunity for peace and relaxation. Yet, when guests are ready for the fun and excitement of Branson, AAI is minutes away from the center of the Branson Strip, the Titanic Museum Attraction, and alternate routes to Silver Dollar City, Table Rock Lake, many of Branson’s shows, attractions, shopping, including Branson Landing, and other activities. “In terms of all round value, cleanliness, location and customer satisfaction, the All American Inn and Suites has been a perennial hit with our customers,” said Preston Garrison, Director of Operations for the Branson Tourism Center, one of Branson’s largest providers of tourism services and information. He points out that AAI is a participant in the Branson Tourism Center’s (BTC) Lowest Rate Lock Guarantee Program. If you book your stay at AAI through BTC, subject to the programs minimal conditions, the price you pay is guaranteed to be the lowest rate available. If you find a lower price offered for the same room on the same dates anytime between when you book your room and when you arrive in Branson, BTC will match the lower rate. 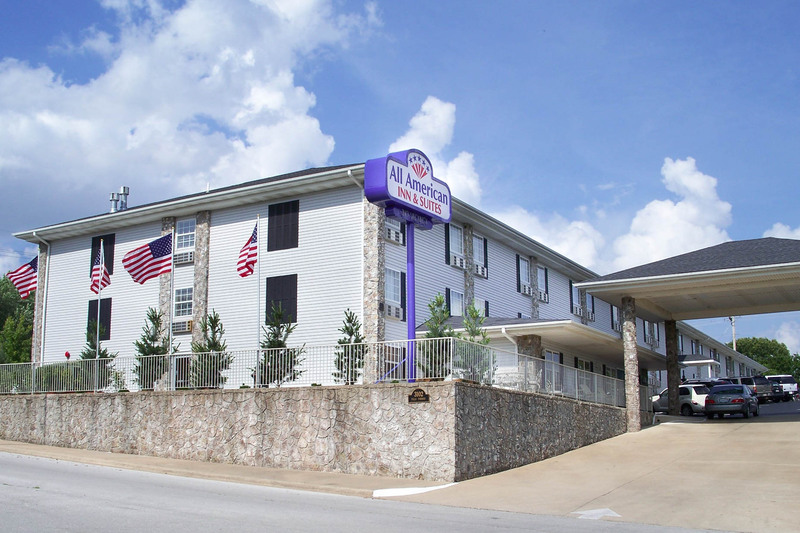 For additional information or reservations for the All American Inn and Suites, or for any of Branson’s other shows, attractions and activities please contact the Branson Tourism Center (BTC), one of Branson’s largest and most respected vacation planning services. BTC can be reached by either calling their toll free number 1-800-785-1550 or through their website www.BransonTourismCenter.com. This entry was posted in Branson Lodging, Featured, Lodging on October 5, 2016 by Gary Groman.